Misty is a short and stocky plant. The lime green bubble like leaves are thick and heavy like salad. 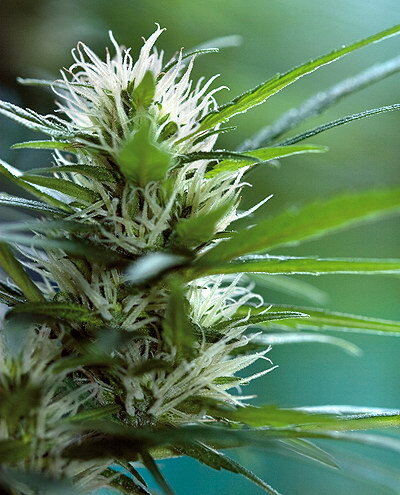 Buds are dense and covered with THC glands extending to the shade leaves. 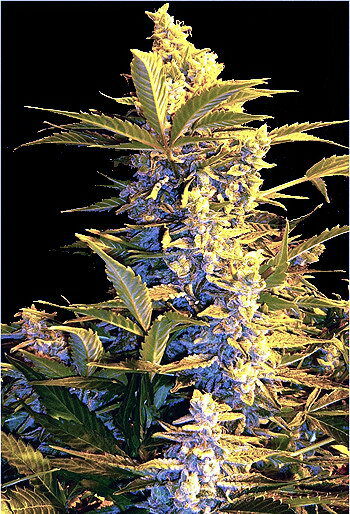 Though Misty shares genes with white Widow, it finishes earlier and produces tighter buds with a greater yield. Misty gives off a powerful musky smell, some say it is like old sweat. Unlike its near offensive aroma, misty smokes sweet and leaves a sugar after taste in the mouth. Picture of Misty cannabis bud, dense with THC crystals. Finishes earlier than White Widow and produces tighter buds and higher yields.